I’m proud to announce that the time has finally come! 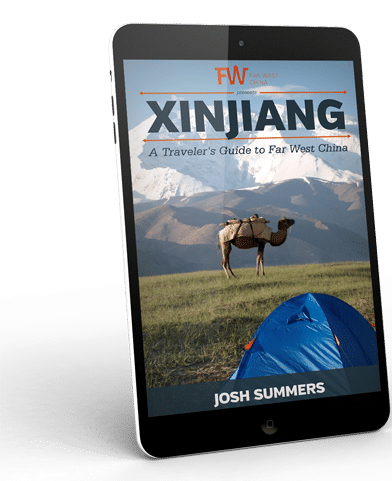 After almost a decade of traveling and writing about the Xinjiang region, today I am publishing Xinjiang | A Travelers’ Guide to Far West China. 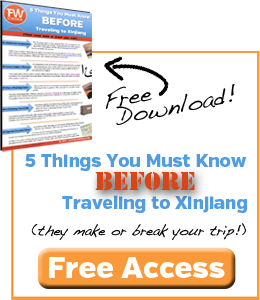 Not only is this 2015 edition the most up-to-date guide to Xinjiang, it’s also downloadable from anywhere in the world on Amazon, Nook and Kobo. Find it on your favorite book retailer using the link below or you can continue to read about what makes this travel book different than any others that are on the market today. Why this Xinjiang Travel Book? Custom color maps: I hired a designer who did a fantastic job developing the best Xinjiang maps available anywhere. Even people who live here will find these useful. All of Xinjiang, not just a few cities: instead of focusing on just a couple cities, I go into detail about every corner of Xinjiang that might be of interest to a traveler. Travel Discounts: I’ve negotiated with a number of companies including travel agencies, hotels, visa services, VPNs and others to offer exclusive discounts from 10%-30%. Mandarin and Pinyin: Every location, city and street is written out both in Mandarin characters and pinyin, making it easy for a traveler to show a taxi driver or try to pronounce themselves. In my opinion, the maps alone are worth the price of the book. 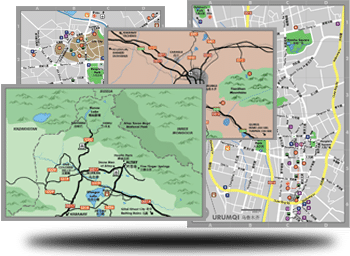 There are city maps for Urumqi, Turpan and Kashgar as well as area maps for Urumqi, Turpan, Kashgar and Altay. After you register the book, you’ll even have an opportunity to download the full-resolution maps to have on your phone, tablet or other device while traveling around. I’m also very excited about the fact that I was able to negotiate some really good discounts with local travel companies, discounts that most anybody could actually use. In most cases, the $9.99 you spend on this book will be paid back 2x-3x’s over when you take advantage of the exclusive discounts. I had originally planned to sell this book for $19.99. It wasn’t until later that I learned how Amazon caps Kindle book prices at $9.99. It is possible to price at $19.99, but my royalties drop in half, meaning that you would have had to pay more, I would have received the same royalties and the only party that would have benefited is Amazon. I like Amazon, but not that much. So now you’re getting what I think is a $19.99 value for $9.99. If the content I’ve provided for free on FarWestChina and responses to your emails have benefited you at all this past decade, there’s one HUGE way you can help me: leave a review of the book! I want it to be an honest review, of course, but any review makes a huge difference. 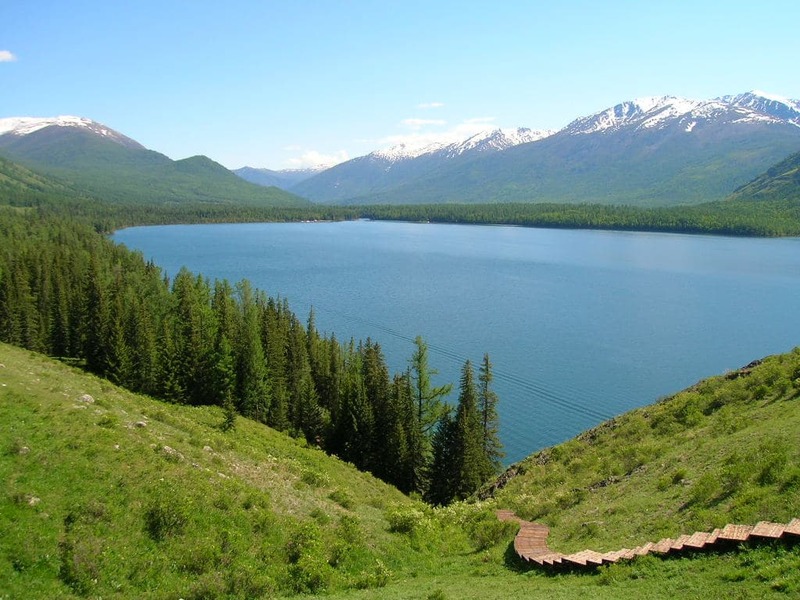 If you’re planning a visit to the Xinjiang region, I wish you safe travels and I hope that this guides provides all the information that you need! Congratulations on your newest project and book. I bought it from Amazon and look forward to reading it. Will a hard copy book be available? We want to give one to our newest daughter as a memento of her birthplace. We look forward to your posts and savor every one. Keep up the good works. Hey Bill! Thanks so much for your support – it means a lot. My next major project is to format the book for print, but it might take a month or two. I’ll keep you updated. Tell Audrey and the girls I said hello! Congratulations on all the hard work! It sounds super in-depth. Will recommend to anyone traveling to the region! Congratulations on this Josh, will be purchasing the book soon, and can’t wait to read it! I have read your book and i had a question on Dunhuang. 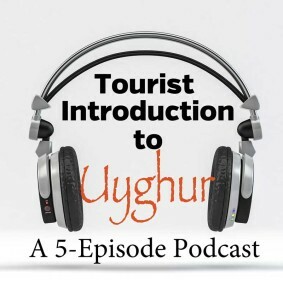 Is there any public transport from Dunhuang to Yadan national park? If no can you suggest me an effective way to make this trip. Since i will be travelling alone i dont want to spend a lot of money on Taxi. Hey Ajay, thanks for the question although I’m not sure I can provide a good answer. Dunhuang isn’t Xinjiang, though, so it’s beyond my area of expertise ;) I suggest getting a hold of a travel agency to find out. Is your book available anywhere in China? Hope that helps. Enjoy and safe travels!